Handsome, Harvard-educated, a cosmopolitan traveler, Sumner had long been adored by abolitionists. Right before the Civil War, his antislavery crusade led the South Carolina representative Preston Brooks to thrash him severely with a cane on the Senate floor, transforming him into a secular saint. As he droned on in endless, windy speeches, the sanctimonious Sumner was easier to admire than love. A cold, humorless bachelor, he sashayed around Washington with his walking stick, glorying in his self-importance. As Grant’s son Jesse recalled, he “was a tall man of commanding appearance, rendered doubly conspicuous by the garments he wore . . . He always wore the most glaring clothes I have ever seen on a civilized man: heavy plaids in vividly contrasting colors, looming above a foundation of white spats.” Sumner’s mandarin hauteur stood opposed to Grant’s modesty and his baroque language was a world apart from Grant’s spare eloquence. 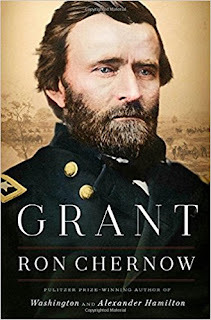 Grant had admitted Sumner’s statesmanship and ardent abolitionism. Sumner, for his part, had high praise for Grant as a soldier, but reluctantly endorsed him for president and only belatedly threw his weight behind him during the 1868 race. Dismissing Grant as an intellectual lightweight, he fancied he would function as Grant’s tutor on foreign policy and expected to be named secretary of state as a reward for his support. His hopes were dashed when his friend Fish beat him out for the post, and he bristled further as Grant toed an independent line in foreign policy. With a sense of senatorial privilege, Sumner expected to dominate American foreign policy and suggested appointments. “Mr. Sumner . . . who is the idol of the reformers, was among the first senators to ask for offices for his friends,” Grant noted. “He expected offices as a right.” Chairing the Foreign Relations Committee, he also expected his views to prevail. Sumner typified a Senate that had grown arrogant and imperious, demanding patronage as the price of its cooperation with the president. The press and reformers expected Grant to tame the headstrong Senate, a clash that would come to a head in his conflict with Sumner.